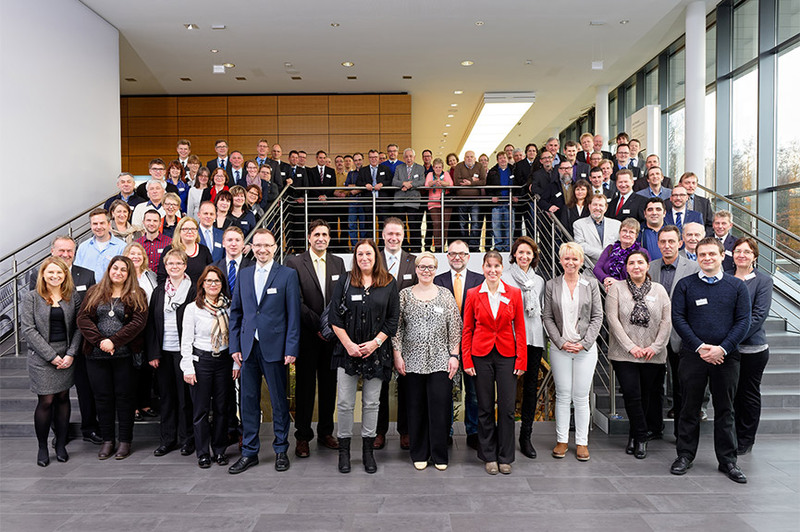 A joint ceremony was held on 17 December 2015 at the World of Joining in Bielefeld for all those Böllhoff employees marking a long-service anniversary. In 2015, a total of 104 employees celebrated anniversaries of up to 45 years with the company. Dr Wolfgang W. Böllhoff and his son Wilhelm A. Böllhoff thanked the employees for their loyalty and their many years of dedication to the company. On Thursday, 32 employees celebrated 10 years of service, 15 employees 20 years of service and 33 employees 25 years of service with the company. A further 21 employees celebrated 30 years, one employee 40 years and two employees 45 years of service with the company. At the joint ceremony, in keeping with tradition, those celebrating their anniversaries received gifts, certificates and silver or gold badges of honour for their loyalty to the Böllhoff Group.